Last man out was silver fox Rangana Herath, cricket’s most successful left-arm spinner in history, in his last match before retirement. 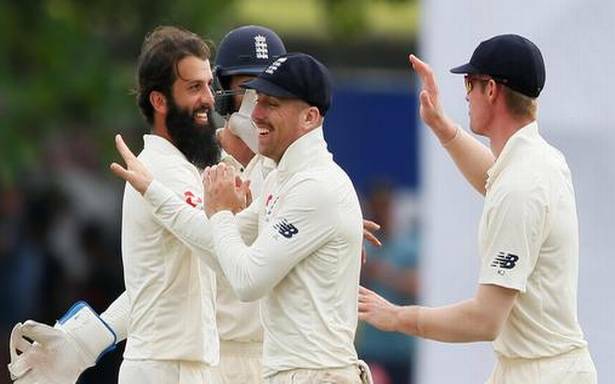 England claimed their first away Test victory in 13 matches on Friday with a commanding win against Sri Lanka in Galle. The hosts, chasing a notional 462 victory, were all out for 250 on day four, with Moeen Ali taking four wickets and Jack Leach three. Fifteen without loss overnight, openers Kaushal Silva and Dimuth Karunaratne withstood the pressure from England’s formidable bowling attack for the first hour. England’s varied attack, with three quicks and three spinners, applied substantial pressure, with the slightly expensive Adil Rashid the only disappointment so far.